Jason ODonnell is kicking it old-school style with his brand of whiskey. Really, really old school  as in a recipe dating back to 1838, when people made booze with whatever they had on hand, like licorice root, anise, cloves, cinnamon, nutmeg, coriander, cardamom and saffron. 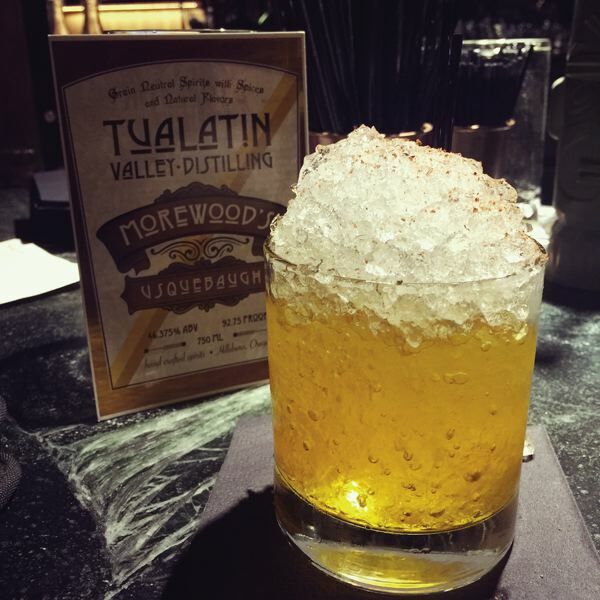 ODonnell, co-owner and chief distiller of Tualatin Valley Distilling in Hillsboro, calls this particular concoction Morewoods Usquebaugh (pronounced US-kuh-baw). 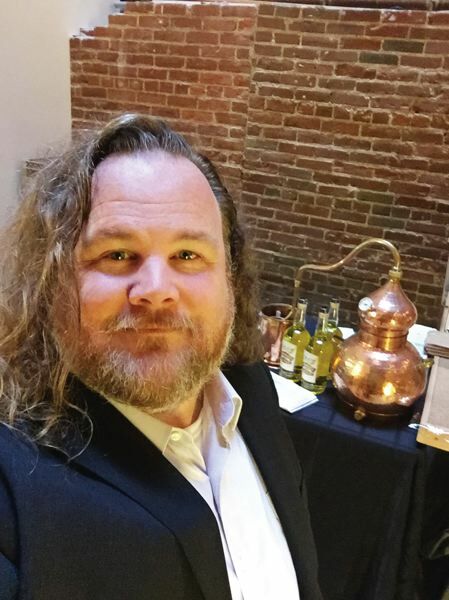 Its a historic revival spirit, one of three he distills at his upstart brewery, and one that hell be showcasing at this years Toast event  the sixth annual artisan spirits festival hosted by the Oregon Distillers Guild. Set for Saturday, Feb. 27, in the Pearl District, the event will feature 120 spirits from across the Northwest, the country and the world. Around 40 distillers and craft producers will be offering tastings of their unique labels of whiskey, rum, gin, vodka, tequila, brandy, liqueurs, absinthe and aquavit. For ODonnell and fellow whiskey aficionado and business partner Corey Bowers, itll be the perfect opportunity to showcase their fairly unknown product thats new to peoples palates and defies expectations for many reasons. Co-located with Big Bottom Distilling, they started production in 2014 and released the usquebaugh last June. Part of the education is their hands-on process, which includes milling the grain, brewing each mash, pitching the yeast, distilling the wash, and bottling it by hand on-site. They also age it in 5- and 6-gallon oak barrels on-site, which gives it a better surface area contact and can truncate the aging process a bit, ODonnell explains. And it has. At last years Great American Spirits Festival in Portland, each of Tualatin Valley Distillings three products took home a medal. Their Morewoods Usquebaugh and Oregon Single Malt American Whiskey each won a silver, and their Fifty/Fifty American Whiskey won a gold. At Toast, ODonnell will offer tastings and recipe cards for three cocktails that feature the spirit. ODonnell  who still works his day job at a local technology company  didnt come into the venture blindly. He has deep roots in the whiskey community, having run a whiskey tasting group for 16 years. Based in Southern California, ODonnell co-founded the club as a subgroup of the medieval re-enactment group he ran with. At their grand tasting every year, about 200 people come through, he says. As part of the re-enactment group, ODonnell had been making his own clothes, building his own shields and getting his hands on deeper bits of history, including seeking out old whiskey recipes. About 12 years ago, he stumbled onto the recipe, and started playing with it to see if it was marketable. Now that its one of three spirits he produces, hes already looking to whats next. He wants to fill larger barrels, and expects to start making absinthe later this year. Hell keep his eye on other historic recipes, perhaps more approachable ones you can read about in the books but cant really learn until you sit down and start doing it. Where: Really Big Video event space, 539 N.W. 10th Ave.
Place sugar cube and pineapple slice in an Old Fashioned glass and saturate with bitters; add a dash of water. Muddle until dissolved. Fill with ice cubes and add Morewoods Usquebaugh. Add a float of vodka with a dash of Jackn Cola Pimenta sauce. Garnish with pineapple slice. Credit to Keith Allen for cocktail inspiration and structure. Add all to mug and steep for two minutes; stir to dissolve the honey. Combine all and shake; serve over crushed ice with lemon peel and a dusting of ground cinnamon. Designed by Estanislado Orona of Raven & Rose.